This full day tour includes a guided interpretative hike of the Yukon Wildlife Preserve where you will see northern mammals and migrating birds. After a campfire lunch at the Takhini Valley Retreat Centre, you can relax with a soak/swim in the natural mineral waters of Takhini Hot Springs. 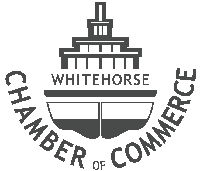 A city tour of Whitehorse with walks to explore the trails enjoyed by local folks. Special Clothing: Bathing suit, towel, flip-flops or crocs for the change room. All these may be rented at the Hot Springs. Waterproof walking/hiking boots; layered clothing including windproof jacket; hat & mitts/gloves. Tentative program – all components will be included – scheduling may vary. 3:30 – arrive Whitehorse – city tour with added walks.